Wow! Couldn't put it down. Wow! This is one of those stories that you probably won't want to start unless you are where you can finish it without putting it down. This is the second book in the Hidden Justice series, but can be read as a stand alone. I do recommend reading the first books in the series not only to get further background on the characters but also because it is a good one also. This author certainly knows how to combine intriguing characters, romance, legal suspense and action and write a story that had me hooked from the first pages. The title of the book certainly captures the them of the story. I certainly will be looking forward to the next book in the series. I was given a copy of the book by the author, but a positive review was not required. The opinions expressed are my own. Toe the reader who enjoys good legal suspense, this is a definitely a book you will want to read. This is a grab your attention story that has lots of suspense with answers to questions being sought by the characters. Focuses on abuse to women and children by spouses or live in boyfriends. Lawyer Emilie works in a safe haven for abused women. Just as she is on the brink of helping client Kaylene, Kaylene along with her two daughters are shot. Kaylene and oldest daughter are killed and the youngest is clinging to life. Video seems to show Kaylene is the shooter but Emilie and Kaylene's brother Reid knows different. This was a gripping story that had me reading as fast as I could to find out for sure what really happened. The characters were portrayed as real people with all the emotions that would be shown in real life. 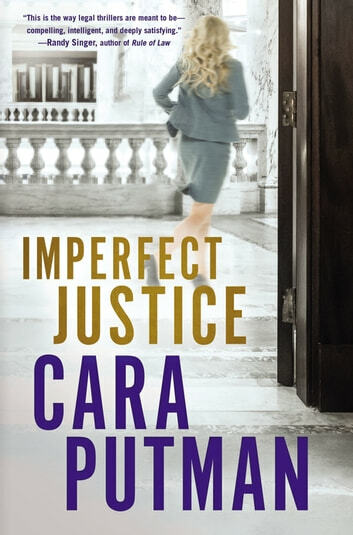 Being an actual lawyer herself, author Cara Putman is able to write with knowledge and history to back up her fictionalized story. It was very well written. This is book two in the Hidden Justice series but it can be read as a standalone. Now I'm anxious for the next book! I received an ARC from the publisher but was not required to write a review positive or otherwise.